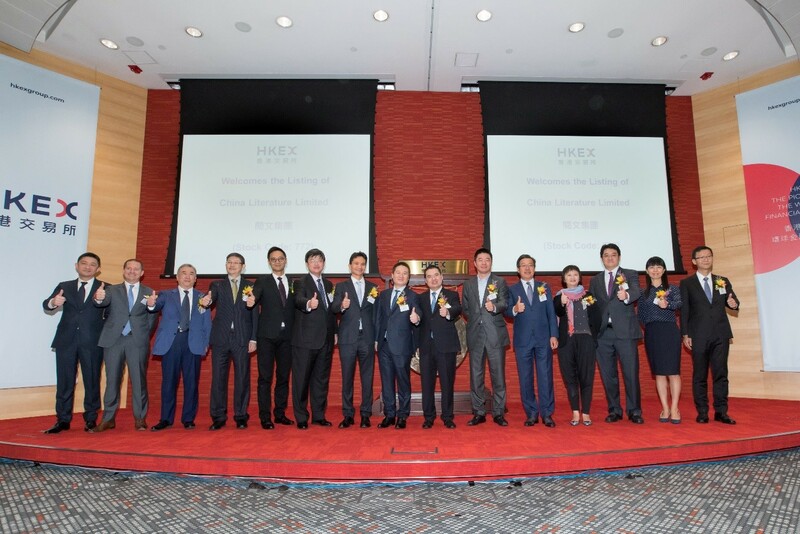 China Literature Limited, a pioneer of China's online literature market and operates the leading online literature platform, was successfully listed and commenced trading on the Main Board of SEHK at 9:30am today, under the stock code 0772 with a board lot of 200 shares. Mr. Wu Wenhui, Co-Chief Executive Officer of China Literature stated, "China Literature has stepped into the international capital market and embarks a new journey as a listed company. The Offer Shares of China Literature have been over-subscribed significantly under both Hong Kong public tranche and International tranche, representing a tremendous recognition in the capital market. The outstanding result strongly revealed the full confidence of the investors in the growth of the online literature industry in China and in China Literature. The success of the listing will not only lead China Literature to the next milestone, but also lay a solid foundation for the long-term development of the Company." Mr. James Gordon Mitchell, Chairman of China Literature concluded, "We see great potential of further development in China's online literature industry. The mobile era of online literature has witnessed tremendous increase in monetization formats as well as commercial potential of online literature content. With rising living standard and consumption power, customers are demanding high quality entertainment content. This accelerates the development of the pan-entertainment industries, and it in turn drives the demand for literary works for various content adaptations. 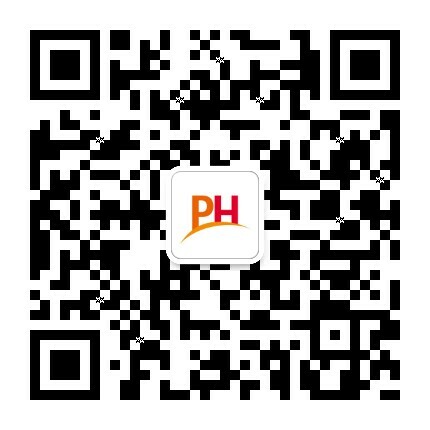 All in all, there are tremendous room for future development which provides strong growth momentum to the leaders in China's online literature market." China Literature is a pioneer of China's online literature market and operates the leading online literature platform*. As of June 30, 2017, China Literature had 6.4 million writers and 9.6 million literary works. In the first half of 2017, average MAUs, calculated as the average of MAUs for each calendar month, on the Company's platform and self-operated channels on partner distribution platforms reached 192 million. Currently, China Literature creates a leading market position in the online literature market in China with the largest user base, deepest writer pool, most comprehensive content library and strongest monetization capability. China Literature's platform provides its online readers with easy access to its vast and diverse content library and enables a greater number of writers to create and publish original literary content online. At the same time, China Literature currently operates a multi-layered content distribution network and provide its content directly to the largest online audience for original online literary works in China. China Literature has nine major branded platforms, including “QQ Reading”, “qidian.com”, “qdmm.com”, “chuangshi.qq.com”, “yunqi.qq.com”, “xxsy.net”, “hongxiu.com”, “readnovel.com” and “xs8.cn”. Among which, the flagship product, QQ Reading, is a unified mobile content aggregation and distribution platform, while other branded products on mobile and PC focus more specifically on individual genres and their respective user followings. Through its strategic partner, Tencent, the Company has exclusive and direct distribution access through its portfolio of leading Internet products, including Mobile QQ, QQ Browser, Tencent News and Weixin Reading. Moreover, the Company also licenses its content to third-party partners such as Baidu, Sogou, JD.com and Xiaomi Duokan for distribution on their own platforms, and such third-party platforms share with the Company a portion of the online reading revenues generated by the Company’s literary content. In addition, according to the Frost & Sullivan report, among online literature-adapted domestic entertainment products, 13 of the top 20 films by box office, 15 of the top 20 most viewed TV series, 14 of the top 20 most viewed web series, 15 of the top 20 most downloaded online games and 16 of the top 20 most viewed animations, in each case released in China in 2016, were based on literary titles developed on China Literature’s platform, which enabled China Literature to obtain its leadership position in domestic literature-adapted industry.